Members of Valley Electric Association in Pahrump got a chance to catch up on bills, put money away in savings and offer a special day to a loved one during the town’s Fall Festival celebration in September. 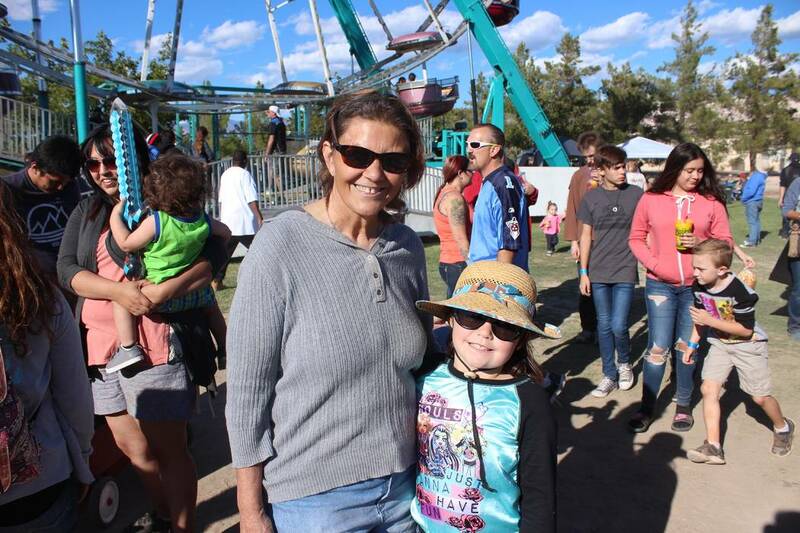 Jeffrey Meehan/Pahrump Valley Times Pahrump resident Donna Cooper (left) stands with her great granddaughter Summer (right) at Pahrump's 2017 Fall Festival celebration on Sept. 23, 2017. Cooper was treating Summer to a day at the event with her premium check from Valley Electric Association. Gail Corrow Local resident Gail Corrow received her $579 premium check at the right time from Valley Electric. She was able to catch up on her bills after getting behind a few months ago while she was out of work. She was also able to purchase some new apparel for the cooler winter weather. That’s because of a $579 premium check sent out to the more than 17,000 member-owners of the Valley Electric Association in mid-September, due to the sale of its 230-kilovolt transmission system, which spans more than 160 miles across Clark and Nye counties. Over $10 million was sent out by Valley Electric in total. Local resident Donna Cooper said she was buying a few things for her seven-year-old great-granddaughter who recently came to live with her. “I bought her clothes, books, music, videos and toys,” she said. Cooper also stopped at the Fall Festival, which pretty much wiped the check out, she added. For some, the money couldn’t have come at a better time. Local resident Gail Corrow, who found herself out of work for a short period earlier this year, had been struggling to keep up with expenses of a household and her two young boys. “You know, once you get in the hole, it takes you months get back out, so this money was definitely a big help,” Corrow said. 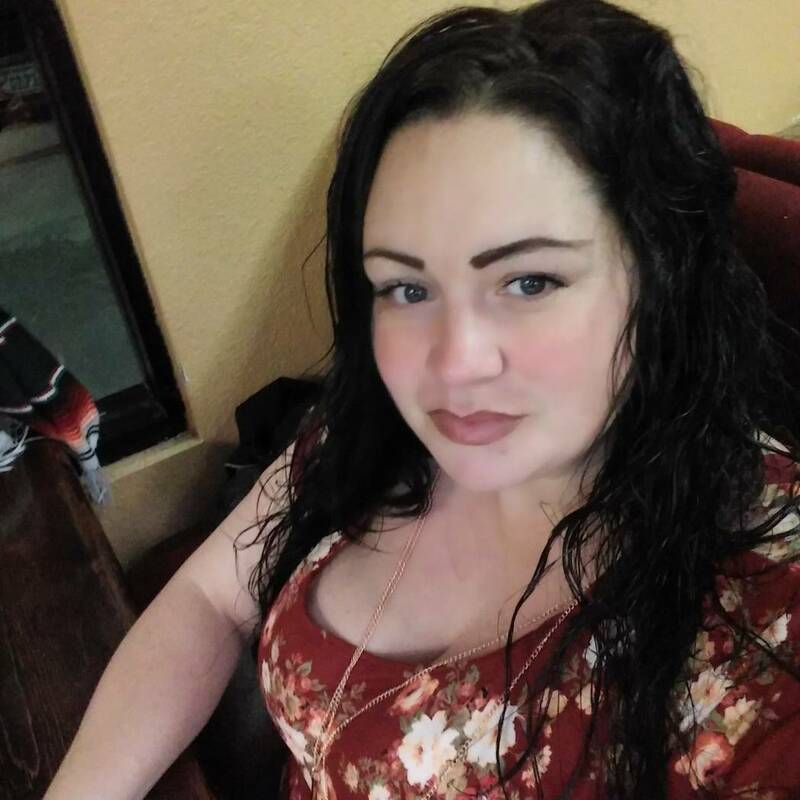 Corrow is also planning to purchase her two sons some winter clothes, with the weather starting to move away from the triple digits and back into cooler temperatures. The premium checks came after the Federal Energy Regulatory Commission (FERC) approved the sale in August. The sale of the transmission lines had been on hold since March 2017, when the commission lost its quorum. That was also about the time members of Valley Electric were expecting their premium checks. Members of Valley Electric Association had voted to sell the lines in 2016 to GridLiance Holdco. At the time the quorum was lost, President Donald Trump hadn’t yet nominated anyone new to sit on FERC’s commission, so the sale could not be approved until the commission had enough members to vote on the matter. In May, Trump nominated Neil Chatterjee and Robert Powelson, who were confirmed in August. The more than $10 million in premium checks sent out to members in Valley’s service area was quite sizeable when compared to Nye County’s taxable sales. In June, the last month the Nevada Department of Taxation sent out numbers on taxable sales, the entirety of Nye County had just over $55 million for the month. The $10 million is equal to more than 18 percent of that number. That’s not the only infusion that Pahrump members of Valley Electric could see in the coming months. Some local businesses made it easier for Valley Electric’s members to cash their checks. “After Valley Electric announced plans for a premium payment to Pahrump residents, we decided to make it convenient for our guests to cash their checks,” said Jeremy Jenson, vice president and general manager of Golden Casino Group-Pahrump. Golden Casino’s holdings in Pahrump include the Pahrump Nugget Hotel Casino, Gold Town Casino and Lakeside Casino &RV Park. Jenson said a fair number of people took advantage of the offer, though exact numbers weren’t available. Members who brought their checks to one of those properties had a chance to win an additional $500 just for cashing it there. Five lucky winners from each one of Golden’s three properties split $7,500. On Thursday, five $500 winners were drawn at 5 p.m. at each property. Some members of Valley Electric put their money from the premium checks into savings. Local resident Lindsey Ellis put a little aside, though she said some of it could be used to pay down debt. “For now, it’s in the savings account,” she said. Other members used the money to patronize local stores, while others decided to travel. Pahrump resident Joanna Lien said she bought a firearm from the Master at Arms at 921 Highway 160. Ali Axiom, who lives in Pahrump, is traveling to Colorado for her husband’s handpan, a type of instrument, gathering.